Madison, Tell the Winter Blues to Take a Hike! It’s winter. Daylight is at an all-time low and one of the biggest mental repercussions of this is Seasonal affective disorder (SAD), a type of depression that's related to changes in seasons. According to The Mayo Clinic, the symptoms of SAD start in the fall and continue into the winter months, sapping your energy and making you feel moody. “Get outside,” they urge. “Even on cold or cloudy days, outdoor light can help — especially if you spend some time outside within two hours of getting up in the morning,” they explain. Hiking is a fantastic outdoor winter activity. 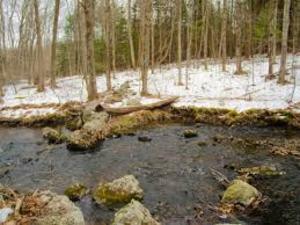 In Madison nearby trails and snowshoeing venues include Hammonasset Beach State Park. Visit Trails.com for additional trails near you and bid farewell to the winter blues!